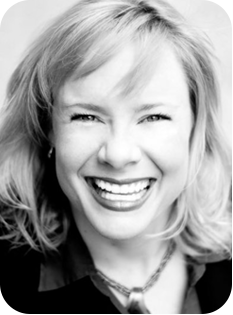 Viveka von Rosen is author of LinkedIn Marketing: An Hour a Day, contributing “expert” to LinkedIn’s official “Sophisticated Marketer’s Guide” and is known internationally as the “LinkedIn Expert”. Viveka is the CEO of Linked Into Business and co-founder of LinkedProspecting, and she also hosts the biggest LinkedIn chat on Twitter. Viveka has 30,000+ first level connections and a network of over 38 million people on LinkedIn, and 56,000+ followers on Twitter. Her seminars, webinars and workshops have taught and trained well over 90,000 people. She has personally worked with executives at The New York Times, The Daily Beast, Bloomberg, Adaptive Insights, AON, Western Union and several other Fortune 500 Companies. She is regularly asked to speak at conferences and events for thought leading Social companies like the Social Media Examiner and Marketing Profs. Forbes has listed her as a top social media influencer, and she has been cited in Money Magazine, Simple Living, Ragan, CNN, Forbes, Mashable, The Miami Herald, Social Media Today and The Social Media Examiner. Great talk on how to Think Like Zuck with #SMMU and @Ekaterina !